I had the pleasure of interviewing Mark Jaffe, chairman and chief executive officer of Allure Security. 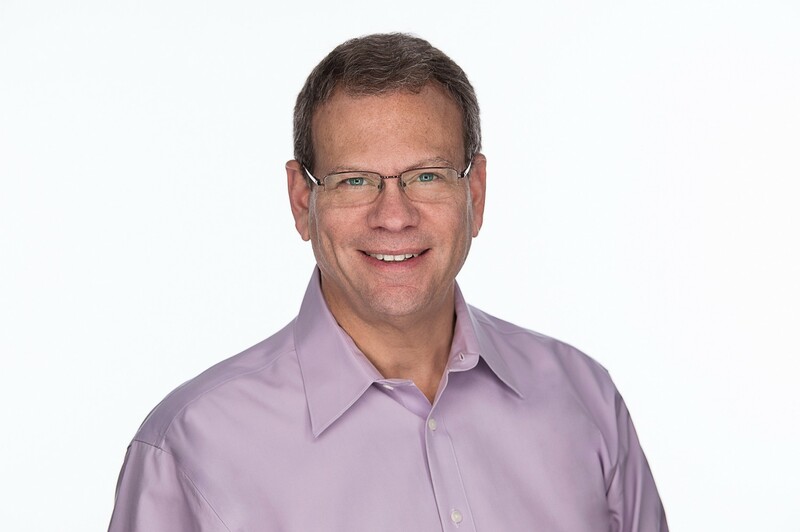 Mark is an accomplished high tech executive with a track record of building products, growing teams, delighting customers, and driving company growth. Prior to joining and raising $5.3M in VC funding for Allure, Mark co-founded Prelert and served as its CEO through it’s two funding rounds and customer growth before its being acquired by Elastic in 2016. Sure, thank you. As background, my career has been about driving growth around new approaches to solve business problems with innovative technology. I’ve done this for most of my career, at six startup software companies, and many of those companies were acquired where I had the opportunity to lead much larger teams at an acquiring company. I think the real backstory for my career, though, came from others around me questioning my abilities to do something bigger or different with my career. For instance, while working in product management early in my career, I was trying to help the sales team close our biggest customer to date for our product when our VP of sales told me that product management folks like me make for terrible salespeople. This and other comments like it motivated me to prove that I could move from doing software development, to product management, to sales, to marketing, to eventually becoming a CEO. I fundamentally enjoy the challenges and opportunity for successes that I’ve had growing new businesses by working with brilliant ideas and people. The best parts of my job involve motivating and leading teams, and giving them the opportunity to experience the hard work and great fun in growing a company while learning as much I have about the many facets of our business. I co-founded Prelert in 2009 with Stephen Dodson. Prelert was fun because we were able to grow that business with enough customer revenue to greatly reduce the amount of venture capital we would have otherwise needed. After Prelert was acquired by Elastic in 2016, I began looking for innovative approaches to solve the growing cyber data loss security problem. That’s when I met Salvatore Stolfo, who founded Allure Security in the research labs of Columbia University. Given our shared vision and goals, I joined Allure as CEO in 2017, and one of my first tasks was to bring in venture capital funding. In January 2018, we announced a $5.3M round of seed funding led by Glasswing Ventures of Boston, with additional funding from Greycroft, Zetta Venture Partners and Portage Partners. Well, it probably wasn’t funny for everybody involved at the time, but I remember being in an extremely important meeting with a prospective partner, working through the final details of a big partnership that was absolutely critical to the success of my company, when the building caught fire and everybody scattered for safety. I’d prepped for days for this critical meeting, then traveled for almost a full day, only to have the meeting “flame” out on me. I still remember initially smelling the smoke, as everybody in the room did, and trying to keep the meeting on track, hoping the fire would just go away. Before long, though, the smoke got thick and the fire alarms went off. After a couple minutes, I found myself being the last person in the room, not worried at all about the fire, but instead only worrying about the meeting. I remember one of the other participants yelling, “Mark, come on! Let’s get out of here.” We all made it out okay, but the fire delayed a critical deal. I had to learn that growing impatient and getting “hot” under the collar, pun intended, doesn’t help. The lesson here is that business risks are best spread across a number of business opportunities, and wherever possible, you need to reduce your dependence on any one specific opportunity to avoid getting burned. Again…pun fully intended. Ensure teams are well suited to work well together. This process starts in the new hire interview process. Not only must we hire people with the right skills for the roles and the right personalities for our culture, but we also need to be sure that candidates have proven their abilities to work well in teams of different sizes. Also, since teams can most easily get out of sync when there are changes in the overall business, it’s important that we hire people whom we believe can adapt well to change. Ideally, we’re always hiring team members that care about how they can personally contribute to the larger company’s strategy and goals, so that they can appreciate the importance of their being in sync with other parts of the team. Create an environment where we communicate with each other openly. The team should feel comfortable sharing any and all ideas and questions on a regular basis, so that the overall team can stay in sync and understand concerns or confusion as it arises. To this end, my direct team and I speak on a very short call every day, and anybody on the call is open to raise any topic they’d like. I also urge managers throughout my company to do the same. Water cooler talk is still a highly effective way to communicate about current company happenings. This obviously gets harder to replicate when the company’s water coolers are spread across the planet, and in different time zones. The worst thing that can happen across geographies is having one or more offices feel like outliers, and not part of the overall company success and culture. I’ve seen this most often when timezone and country culture differences make it more difficult to regularly communicate. As difficult as it might be, I think leaders in companies need to travel and spend quality time in the offices where different teams work, regularly share company updates and ask a lot of questions. This helps teams understand how they are contributing to the overall success of the company and surfaces any perceived differences that must be resolved or explained. Rotating travel between leaders of different functional areas can help ease the travel burden. While my bags have been lost by airlines more times than I’d like to remember, I’m happy to report I’ve always gotten my checked luggage back, albeit a few days later. Make sure you surround yourself with a team that you fully trust and who you can be completely open with. Some business leaders want to shield employees from company challenges. I’ve found that when you trust people with the truth, they are more motivated to step up and help solve the big problems. This takes the burden off of leadership alone, and creates a transparent environment in which teams can learn, grow and thrive. Most times when people quit their jobs they actually “quit their managers.”4 What are your thoughts on retaining talent today? Great point! In fact, it seems to be more challenging than ever due today’s competitive job market, especially in cybersecurity where we have a workforce shortage, to hire and retain great teams. I’m really proud of the retention rates of people on my teams throughout my career. Because I look for candidates who are tolerant of change, the people I hire tend to be appreciative of the company’s long-term goals and how they can contribute as the company evolves. Being transparent with employees about both the company’s successes and its next challenges, and being open to their input and involvement greatly increases their commitment to the company as it grows. And as a very important benefit of having the team fully engaged and passionate about the success of the company, the company is able to more easily make the changes required for the company’s next phase of growth, with less risk of losing key players. Communicate transparently and regularly (to the point of it feeling like you may just be over-communicating). This includes soliciting input and rewarding great ideas by putting them into action whenever appropriate. Embrace change, including letting people go who are not a fit and helping them find other places to work, so that the best players on the team can be challenged and proud of the quality of the team they’re a part of. Be authentic. I’ve personally found and seen emotions get in the way of my and others decision making. As an example, I often see this with tough decisions, such as when we decide to keep somebody on the team a little longer, because we like them, even though we know they likely won’t be successful in the end. In this example, while it may be hard to let somebody go for fear that the person will struggle, I’ve seen how being truthful with ourselves and others around us almost always leads to better outcomes, and more quickly, for all involved. Sometime being brutally honest is extremely hard to do, but if we all did it, wouldn’t it be easier for all of us to follow suit? You’ll have plenty of time to sleep when you’re dead, so why not work and play hard along the way?